This is The Edge, a factory-built home inspired by Mies van der Rohe’s Farnsworth House (not to be confused with the E.D.G.E. prefab). UK-based Boutique Caravans designed and built the modern prefab – which measures 22′ x 42′ – with cold-formed steel, SIPs, and triple-glazed windows. 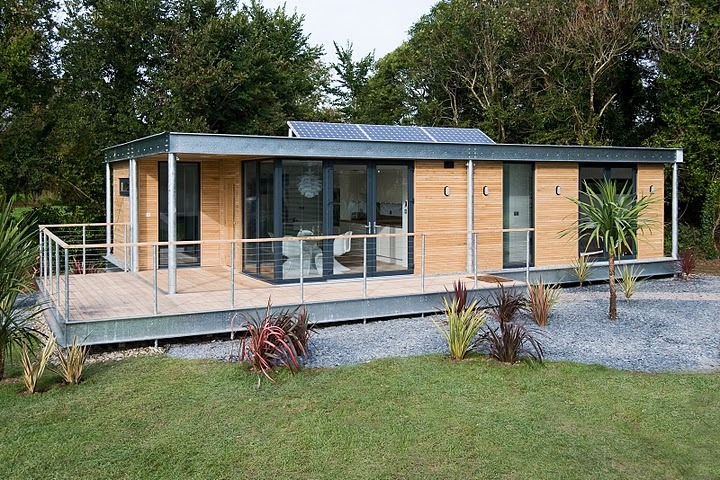 It’s a show house in Penmayne Edge Park in Rock, North Cornwall, a community of 10 low-energy holiday homes in the UK.